Falcon-Headed Mummy Case for a Fish, originally uploaded by plingthepenguin. 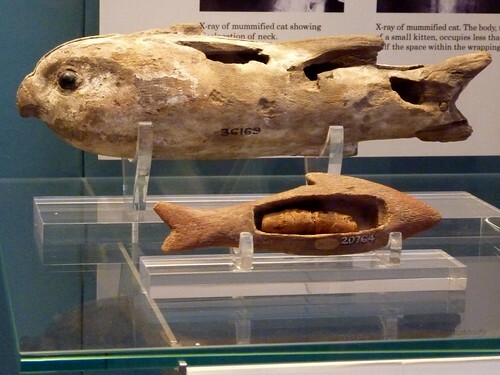 This is the falcon-headed mummy case for a fish that I mentioned yesterday. It's cool ... and somewhat odd. I like the way the carver has made it look totally natural to have this bird head attached to the fish body.